MuleSoft’s Anypoint Platform is an agile and lightweight java-based integration platform, ideal for speed and simplifying complex integrations. The flexibility of the platform and the studio to connect to a variety of applications and data sources makes it optimal for addressing the needs of any business. 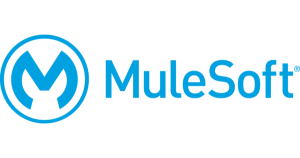 The MuleSoft Anypoint platform is designed around the Mule Enterprise Service Bus (ESB) and Event Driven Architecture (EDA). The platform creates a network of data, applications, and devices through APIs. MuleSoft’s expanded view of integration provides the flexibility to integrate new technologies without custom coding each new integration. The Anypoint Platform runs on the Mule runtime engine and a variety of pre-built connectors for common databases, applications, protocols, and APIs. This architecture allows developers to build and reuse blocks of connectors, APIs, and dataflows which simplify integration. Businesses can connect third-party applications, SaaS offerings, databases, cloud storage, and in-house data sources to analyze and mine data across the company.